Hometown Sports Heroes of Greece, New York features 34 athletes who had prominent contributions to and careers in basketball, soccer, football, baseball, track, hockey, golf, volleyball, track and cross country. They range in age from 26 to 87! The book is 64 pages plus covers and is in FULL COLOR. 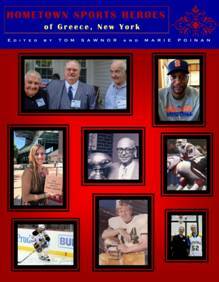 It is chock full of photos and interviews with each sports figure in their own words. Based on interviews and the year-long exhibit in our museum. Volume 3 in the series about the Odenbach family and their businesses. Building Dreams…the Odenbach Story. The plant on Dewey Avenue in the Town of Greece was an indoor shipyard built in an orchard. The facility employed thousands of Rochesterians and turned out over 200 boats in its short five years of existence. John Odenbach’s patented methods of construction allowed him to build a boat every three weeks during World War II! The Odenbach name is synonymous with entrepreneurship in Rochester. Follow family members from their start in the hotel and liquor business into quarries, shipbuilding and golf courses. 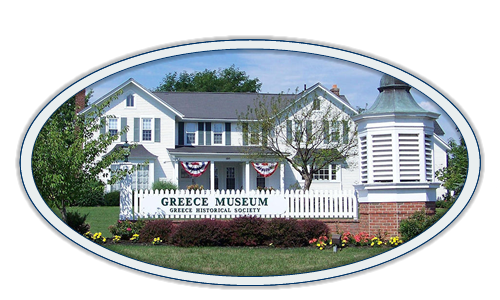 Find out about the Greece Historical Society’s efforts to preserve the legacy of the family. 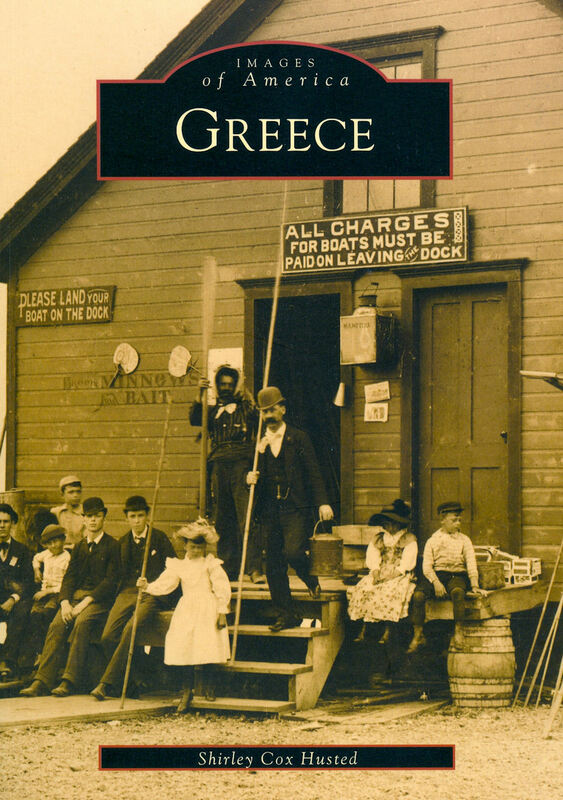 A 60-page commemorative book published in conjunction with the 2015 exhibit, “Our Town in World War II,” and includes Greece veterans’ interviews in their own words, a snapshot of the Odenbach shipyard and numerous pages chronicling life in the war years on the home front. 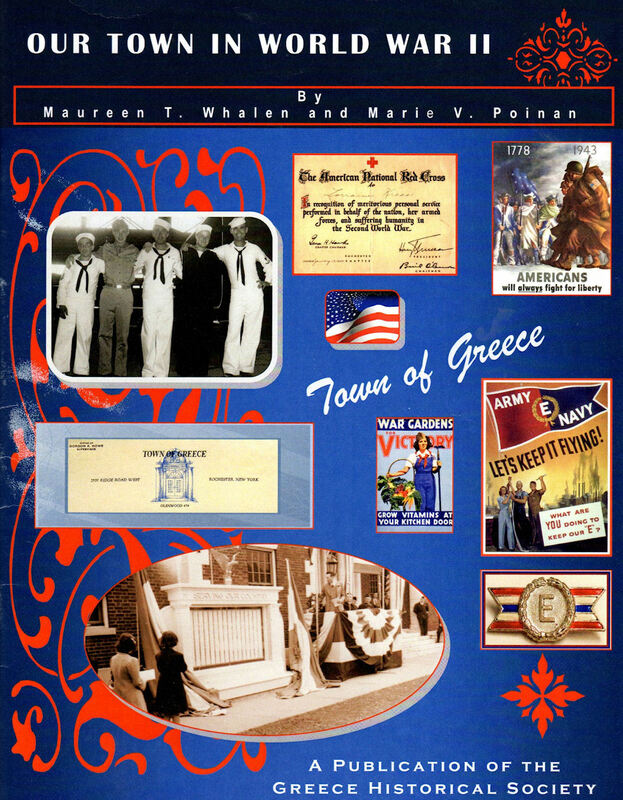 A unique gift for anyone interested in learning more about the Greatest Generation and life in the Town of Greece in the 1940s. From 1884 to 1926 it was the heyday of trolley lines, steam ships and the back to nature movement. 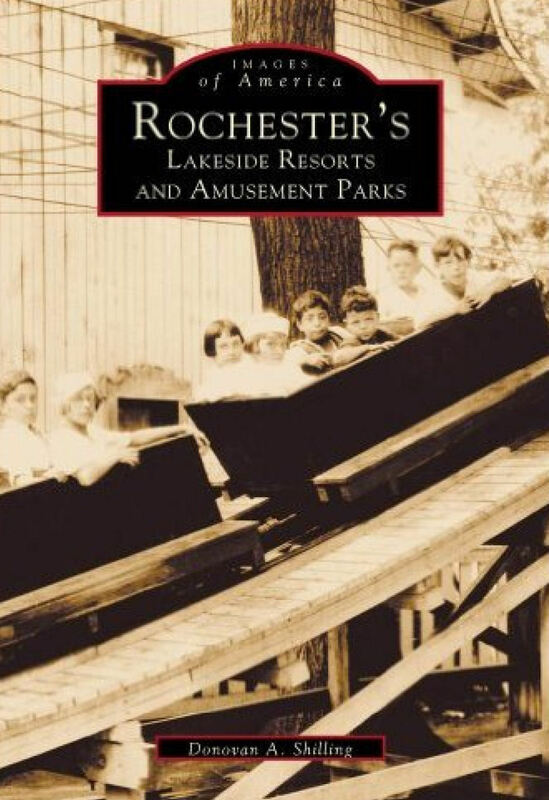 The over 200 pictures document the history of the unique resorts of the era, with unusual facts about the area and the fascinating characters that owned and operated them. 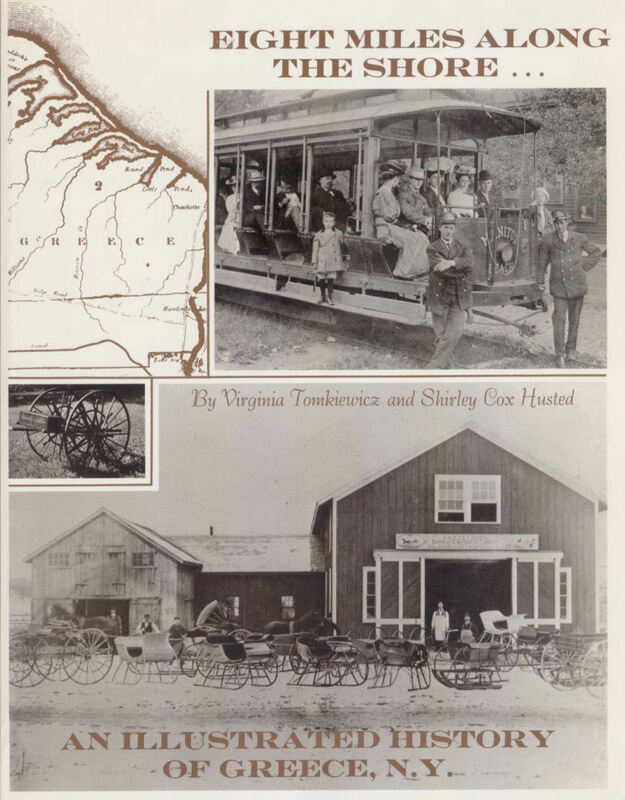 Take a “ride” on the Manitou Beach Trolley from Charlotte to Manitou Beach in the days of lakeside beach resorts and parks as portrayed in the pictures and narrative of this reprinted rare book. 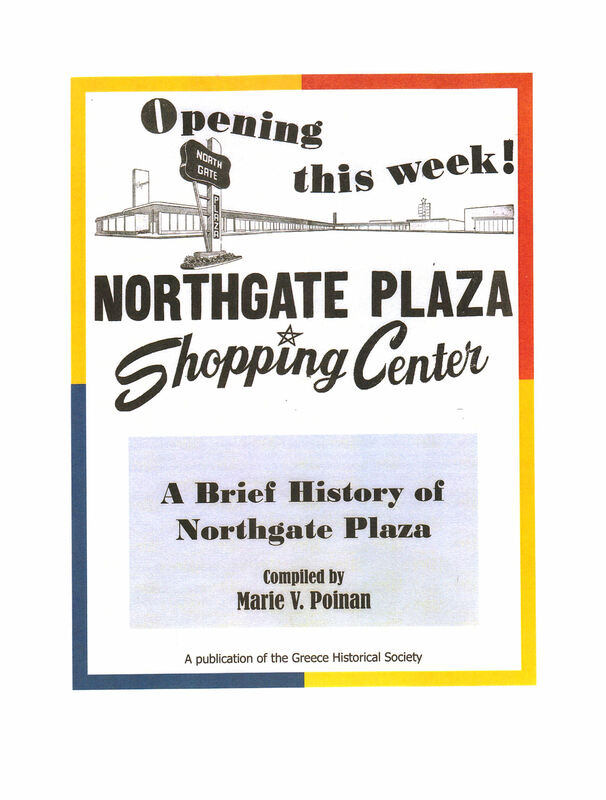 This 24 page booklet, illustrated with dozens of photos and maps, chronicles the history of the plaza, its builder, Emil Muller, with photos and stories of the Dobson family farm that preceded the plaza. Volume 2 in the series of booklets about the Odenbach family and their businesses. 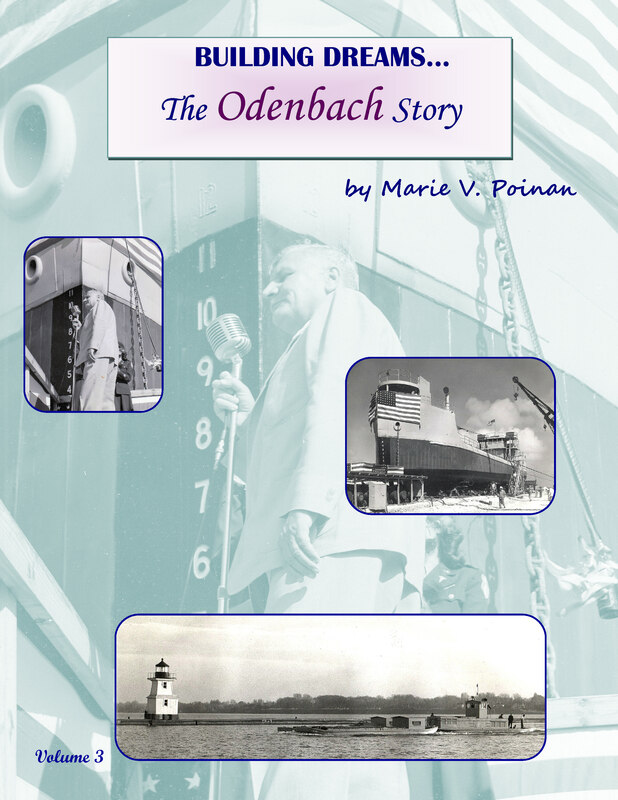 The Odenbach Shipbuilding Corporation built tankers, tugs, landing barges and marine cranes on Dewey Avenue for five years. John Odenbach’s patented way of bending and welding steel revolutionized the industry. He built ships in Greece, New York, Galveston, Texas and Florida, employing thousands during World War II. The company was also one of about 5% of manufacturing facilities that earned the prestigious Army-Navy “E” award for production excellence. This new 32-page book by Marie Poinan chronicles the history of the Dewey Avenue shipyard with many historic photos that have never been published, including photos of the demolition. 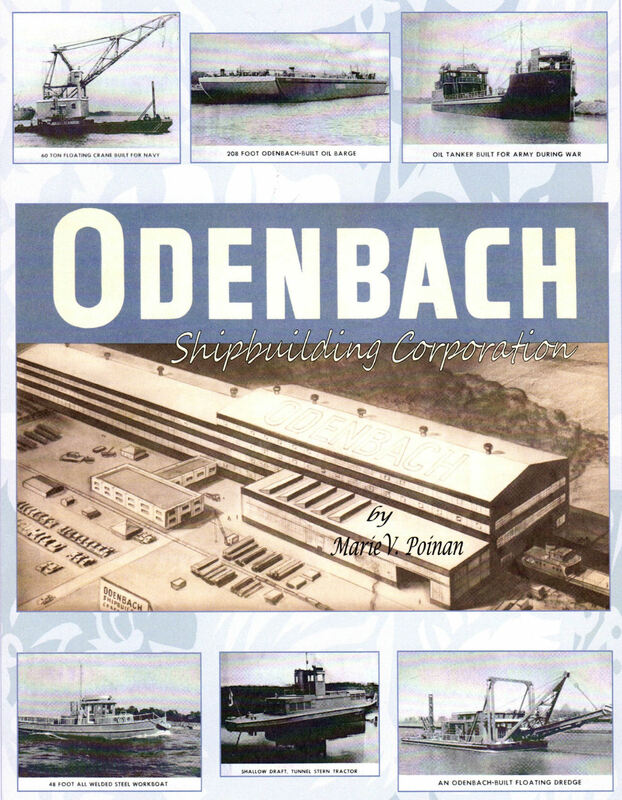 COMBO OFFER: All 3 Books on Odenbach Shipbuilders. Volume 1 in the series of books about the Odenbach family and their businesses. 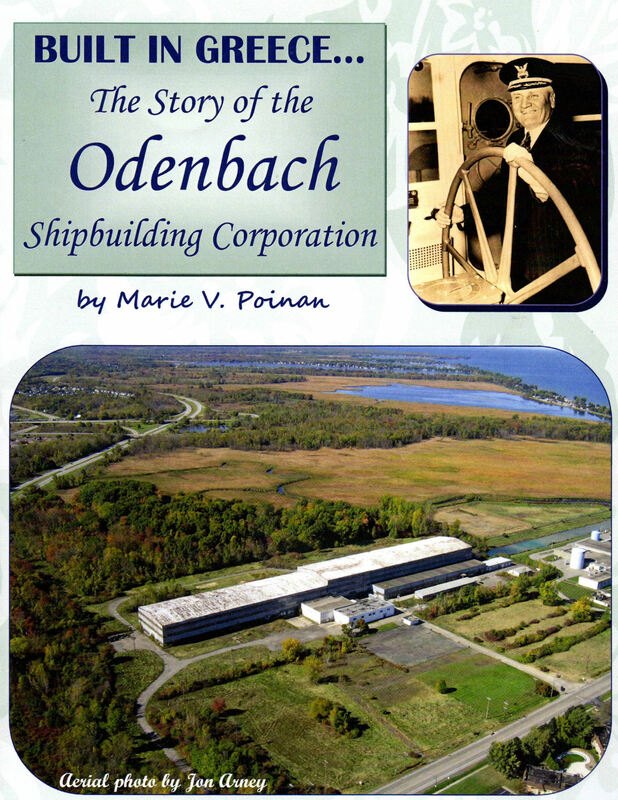 This 24-page booklet has more than 40 photos and illustrations the history of the Odenbach Shipbuilding complex on Dewey Ave.
An illustrated, anecdotal history of Greece, NY, this 208-page book tells the town’s history from wilderness to metropolis. The award winning book is the best available. 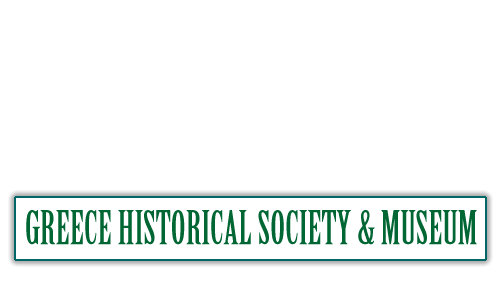 Learn about the town’s history and its people: its business centers, Charlotte and Ridge Road, its hamlets, its farms, its schools and churches, service organizations, its parks and even its ghost stories. Book has over 300 images, maps and news articles. Greece, NY is a community of nearly 100,000 people, with its picturesque Lake Ontario shoreline, Braddock Bay and marina, and more ponds than any other locality along the lake. In the town’s early years life centered around the Port of Rochester, the Genesee River at the village of Charlotte. The agricultural community has grown to become the largest town in Monroe County. 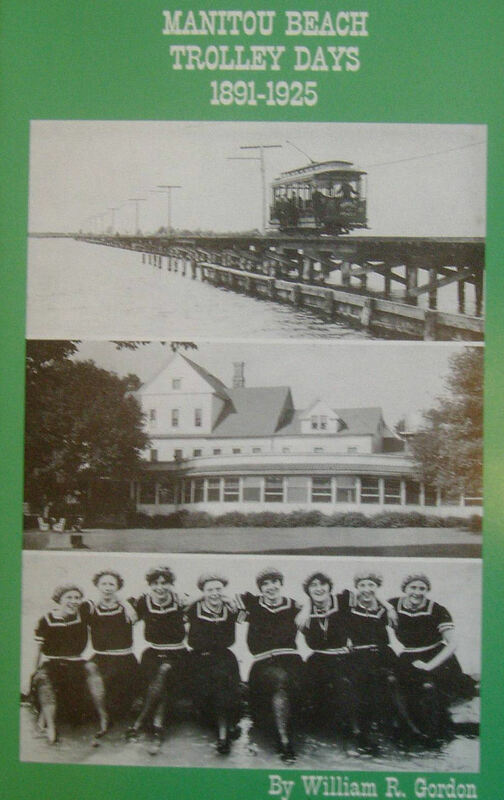 This book is a collection of marvelous pictorial memories of the amusement parks at Ontario Beach Park and Manitou Beach, the grand lakeside hotels, and the open-air trolley that slowly crossed the bay and ponds, and the two lighthouses at Charlotte and Braddock Point that guided the many vessels across the lake to and from Canada.